Nachtzug delivers captivating acid grooves over an analogue trackbed of I.D.M. elegancy. 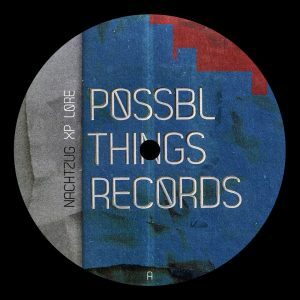 Leipzig’s Possblthings records which is linked to the Possblthings store are doing a stellar job after their first strong release by Robyrt Hecht. This 2nd release is guaranteed to warm your hardware-driven hearts with its multifaceted tracks from uplifting braindance to spaced-out electro. Fans of DMX Krew, MNLTH, CPU Records and the likes are in for a treat!